Territory ranges from Oregon border, Nevada state line to San Luis Obispo, CA. Phytomer USA is pleased to introduce Jennifer Smith as Account Manager for the Northern California region. As a Phytomer Account Manager, Smith’s role is to provide excellent customer service, support, training and knowledge to spa partners of the four skin care brands that make up The Phytomer Group. Smith comes to Phytomer with a wealth of industry experience including roles as spa manager and spa director for two top day spas in the Bay Area. She has also owned a beauty business and worked side-by-side with renowned plastic surgeons in successful practices before working with high-end cosmetics lines promoting corporate sales. “Finally, after more than two decades in the spa industry I have joined Phytomer, which has been one of my favorite brands since my first ‘spa’ desk job back in 1993,” says Smith. 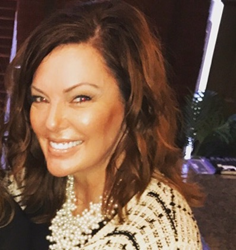 “I fully embrace the honor of serving as Northern California Account Manager for Phytomer and look forward to working with new estheticians, seasoned spa professionals, as well as spa managers and directors of local urban and destination spa facilities throughout Northern California,” she continues. Smith is excited to partner with spas to boost profits and increase each business’ success. “I truly feel I can offer any business a well rounded menu of treatments as well as a quality retail offering, competitively compared to many popular American lines,” says Smith. She would be very glad to connect with both existing Phytomer, Vie Collection, Phytocéane and Fleur’s accounts and new contacts. She can be reached by email at jsmith(at)phytomerusa(dot)com. With over 40 years as the leader in marine skin care, Phytomer is now a pioneer in the field of marine biotechnology, the future of results-oriented cosmetics. This is the newest technology to create innovative, 100% natural skin care ingredients. Based in Saint-Malo, France and distributed in 70 countries worldwide, Phytomer has a reputation of leadership and expertise within the spa industry. With Phytomer meaning “plant of the sea,” we utilize seawater, seaweed or seaside plants in every retail and professional product, combining science with the natural powers of the sea. We are one of the only spa brands with our own laboratory, allowing us to research and cultivate our own ingredients, develop unique cosmetic formulas, manufacture skin care products and create cutting-edge professional treatments to deliver remarkable results.